Welcome to 2016! As I get older (and aren’t we all) don’t the years just seem to fly by! I hope you had a wonderful Christmas and New Year and are hard at it back at work! This newsletter is a first week back jam packed bumper edition. 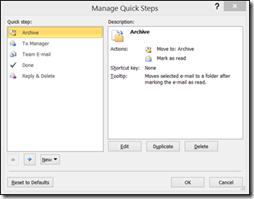 I even have a HOW TO article on making automatic rules in Outlook. Most information workers spend a considerable amount of time in email. Nowadays there are multiple ways to access email including Outlook, mobile apps and online. However, Outlook is probably the best tool for productivity workers because it contains so many features. Some of those features are actually designed to make it easier to use the other tools. My mobile email management is so much easier because of the ways I have automated email management in Outlook. 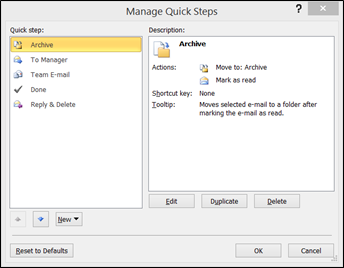 Check below for the ways in which you can speed up your use of Outlook. Clutter is turned on by default in Office 365. It is a machine learning system that analyses your email for newsletter and bulk emails and stores them in a separate folder, freeing your inbox from them and improving your ability to see the email that you need to deal with more easily. Like any machine learning tool, it can get things wrong so you can help it learn by “training” it. Move items to Clutter yourself (either by drag and drop or right clicking an email and choosing Move to Clutter. Likewise, you can move items back from Clutter to your Inbox. Note emails in Clutter are physically removed from your Inbox folder so will not show up on your mobile device without explicitly going to the Clutter folder. Rules are a fantastic way of automating email delivery and management. You can create simple rules that simply delete email based on subject headings, to complex forwarding and filing processes. The options are large and can be complicated, however there are some shortcuts. Right Click on any email and go to the Rules section. You can quickly create a rule to always move emails from a particular person to a particular folder. If you need to create more complicated rules this can be done as well by using the other options, Create a Rule or Manage Rules and Alerts. Quick Steps are shortcuts that you can create that will mark items as read, move them to folders, forward emails to preselected team members and many other customisable actions. I use these all the time to file emails from clients, staff and family. Moving emails to folders is a good way to manage email, filing by customer, task, staff member, or even just for grouping things together. Once again the Right Click option gives access to a short cut to conversation filing. Conversations (grouped by subject) can then be completely removed from your inbox. Further conversation tools are available from the ribbon in the Home Tab. You can choose Ignore to delete an entire conversation (including future emails in the conversation). The Clean Up options give you the ability to remove duplicate emails (caused by replying and forwarding which includes the original email.) Be careful using this is you need an audit trail of what was sent to whom and when. If you need help setting up or managing email management systems on your devices, talk to us today. We have now moved a significant portion of our customers to Windows 10, and without a single problem so far. There are significant compelling business reasons to do so as soon as possible – specifically the free upgrade that is only available until July. Talk to use about the significant advantages to your business about using Windows 10. We can upgrade you over a weekend to avoid Down Time. I have for sale a 7” tablet running the latest version Windows 10 Home. It is a 32GB device so small but very functional and it can take a Micro SD Memory Card. It has Bluetooth so can pair with an external keyboard and mouse. The Atom Processor gives it a very long battery life. Great for travellers, children or students. Here is a review of the device (with US Prices – it retailed in Australia for $199). Contact me today if you want to buy this – first in first served. If you hadn’t already seen their news release the Australia Tax Office has announced its Digital by Default Initiative and has requested feedback on it. Your business will need to prove why they can’t use the digital services and must qualify for an exemption. While there are many business processes that can’t be digitised, the world has seen remarkable growth with the onset of the Digital Revolution. And it makes sense to digitise whatever you can in your business where productivity gains can be realised. Just like you we are migrating our business slowly to the cloud wherever possible with the reduction of paper, cloud based accounting, digital delivery of information, and collaboration tools. With the ATO’s announcement now might be timely for you to engage us to conduct a digital audit and look at developing a digital strategy, or if you think you might qualify for an exemption let us help you with that also. Improvements to Office 365 kept flowing through the holiday season, bringing even more value to Office 365. The new Skype for Business for Android is here! The Power Pivot data model in Excel 2016 got smart rename support and Access 2016 Runtime became available. For business, the popular First Release program added more services, the Office 365 Compliance Center became the Office 365 Protection Center, Office 365 Advanced eDiscovery arrived and the Office 365 Planner preview started rolling out. To help you schedule meetings faster, there’s a new Outlook add-in called FindTime. The big news for developers is the availability on GitHub of Matter Center, an Office 365 Add-in and SharePoint-based document collaboration solution designed to increase productivity for legal professionals. There are lots of things being introduced, updated and changed – check below for a quick summary and contact us if you need more information. Skype Meeting Broadcast lets you conduct meetings on the Internet for up to 10,000 people. They can attend in a browser on nearly any device. Meetings include real-time polling and sentiment tracking. Plus Yammer, to enable dialogue during the broadcast. Office 365 Planner Preview rollout is starting and will be available soon to Office 36 customers. What is it? Office 365 Planner, a new experience in Office 365 offers a simple and visual way to organize teamwork. Planner makes it easy for teams to create plans, organize and assign work, share files, chat about what everyone is working on and get updates on progress. Planner preview started rolling out to commercial First Release customers in the United States 16 Dec 2015. Microsoft expects to complete rollout of Planner Preview to commercial First Release customers worldwide over the next several weeks. Office 365 tenant admins will get detailed directions on how to enable Planner within their tenancy. 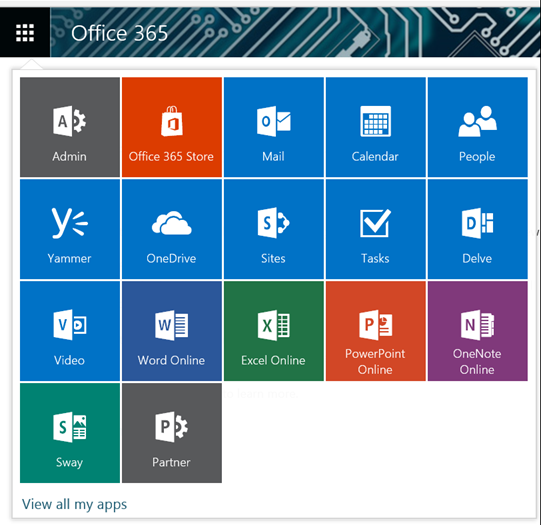 The expect to make Planner generally available to all eligible Office 365 commercial and education customers in 2016. Learn more about Office 365 Planner. If you are interested in this tool we can give you a demo once we get access to it. Beginning February 9, 2016, Office 2016 Current Branch for Business will be available. The First Release for Current Branch for Business has been available since September, and we Microsoft is now making this broadly available to Office 365 customers. Current Branch for Business is the default update branch of Office 2016, for Office 365 ProPlus subscriptions. We recommend that you review upgrade guidance and develop a plan to manage the upgrade of your existing Office 365 ProPlus installations. Auto-upgrades for Office 365 ProPlus and Office 365 Business clients will begin later in February 2016. If you wish to disable auto-upgrades refer to the following KB article: https://support.microsoft.com/en-us/kb/3097292 . Now available for Mac and Windows 10 the new OneDrive for Business sync client solves most of the problems we were experiencing with files and folders not syncing correctly. 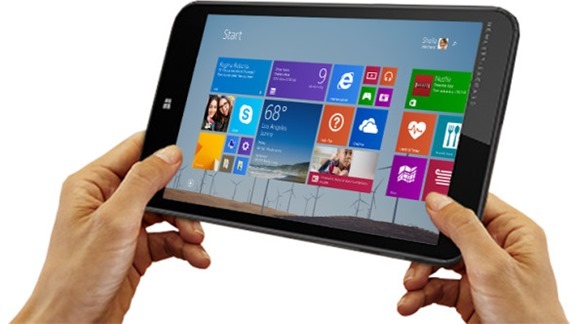 No support for Windows 8.1 until the second quarter of 2016 though – another reason to upgrade to Windows 10 now. Lots of Office 365 news today. One of the major benefits of using Office 365 is the constant updates and new features that are being rolled out. Read below to find out about the latest features and see if you can take advantage of them to be more productive. We have already seen the Office 2016 for Mac rolled out earlier this year – I trust all our Mac users are using it now. Office 2016 for PC has just been released and will progressively be rolled out to all users. If you want it faster, you can go and install it now. Login to http://login.microsoftonline.com and click the gear icon and go to your Office 365 Settings from where you can download an install your software. As a further reminder Mainstream support for Office 2010 ends 13 October 2015. You should no longer have any users left using Office 2010 (or earlier). Beginning October 7, 2015, the Lync 2013 app on iOS devices will get updated and renamed to Skype for Business. With the new app, Microsoft is bringing the simplicity and familiarity of Skype together with the enterprise quality of Lync. The Lync 2013 app on iPhone will be replaced with Skype for Business, whereas iPad users will have to manually download the new app from the Store. The new app will run on all iOS 8 and higher versions. On 30 September Microsoft released a preview version of the sync tool for One Drive for business. The new client removes the previous limitation of 20,000 files and increase support for files up to 10GB in size. Along with this there are numerous changes in the web client, the iOS and Android clients. This will improve the ability for users to access their data anywhere on any device, edit and share documents. These changes will be made public soon and we will update you when they are. Read more about the new OneDrive for Business experience. Over the last several years, social networks have changed the way we communicate. In our personal lives, we show our approval by “Liking” a friend’s status update on Facebook and we “@Mention” others in a Twitter post to call attention to it. In our workplace, these same social concepts became popular through enterprise social tools such as Yammer. Microsoft is now introducing Like and @Mention to workplace email in Outlook on the web. How it works. To Like a message, simply click the thumbs-up icon in the reading pane. This turns the icon from grey to blue, notes within the email that you liked the message and adds a thumbs-up icon in the email list view. Anyone on the thread can Like a message, and their Likes are identified and captured within the message as well. If someone likes your email, you’ll receive a notification letting you know. While the focus of Likes is on specific emails, the focus of Mentions is on specific individuals. When collaborating on email, it is common to call out a specific person for an action or request. Another scenario is adding a person to an existing thread for their attention—perhaps you are on a thread and know that the person who can answer a question was not initially included. Using the Mentions feature ensures that the person is not only aware of the request but is also included in the thread. To use Mentions, simply add the @ symbol in the body of an email. This will bring up your frequent contacts as well as access to your directory. Select the person you want to highlight, and they will automatically be added to the To: line if they were not already included. In addition, their name will be highlighted in the message in blue and they will receive an @ flag in their inbox view next to the message. Furthermore, they can sort by their @ messages to ensure they respond to all messages in which they were mentioned. This new feature will start tolling out mid-October and be generally available mid-November. The feature will roll to the desktop Outlook clients for Windows and Mac in the first half of 2016. Learn more about how the Like and Mention Feature can work for your organisation. Contact us now if you want to access these features for your organisation as soon as they become available. I am also happy to demo them to you in a demo environment. If you are looking at a plan that will see you bullet proof your commitment to what you set out to achieve, and have you working towards your goals with ease, dedication and without burnout, then we can provide you with access to the master planning information from this seminar at a special price. Function errors are very common in Excel Spreadsheets. Possibly the worst ones I see are where people create spreadsheets to total up data and use the SUM formula to add together cells in ranges. Then they add new data to the edges of those ranges but the SUM formula doesn’t pick that up. There is a Subtotal function in Excel that will solve that problem especially when using tables of data or wanting to create grand totals from a number of subtotals. I have written a blog post all about how to use the SUBTOTAL function in Excel. Talk to us today if you create spreadsheets to sum your data. I can show you in less than 1 hour how to save hours of your time per year through using shortcuts, better spreadsheet design and some very powerful Excel Functions. Each webinar will be approx. 20 minutes long and can be joined using a web link. They will be run every 2-3 weeks on a Wednesday at 2pm. They will also be recorded and made available online. · And more… you can ask for topics to be covered. The Start screen in Windows is one of the most emotional things about using Windows. It is where you have significant control about what you do and don’t see easily on your computer. The new Windows 10 Start screen is a blend of the old Windows 7 start menu and the Windows 8 modern tile apps. There are a number of ways you can customise this area and make it your own. In addition, this can be done per device so that depending on what device you are on you can see at a glance what you need most. E.g. work apps on your office PC, family stuff at home and maybe games and entertainment on your tablet or 2 in 1 device. A new feature of Windows 10 called Continuum also ensures that the screen scales to the size of the device you are using and also the mode (e.g. touch or keyboard). Clicking the left hand start menu gives you various. Clicking the All Apps link gives you a list of all the applications on your PC. Clicking any Alphabet letter gives you the list of all the alphabet letters and the option to shoot straight to any of them. You can add, delete, resize and organise apps in the start screen just as in Windows 8. You can add apps by right clicking any app and Pinning it to the start screen or by dragging it from the left hand menu. 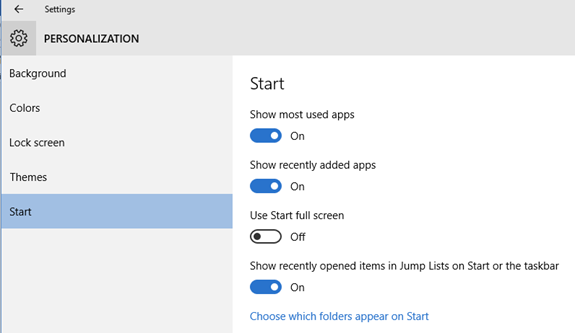 The start window can be resized both up and across – roll your mouse the edge and get the double edged arrow to change the size of the start menu. 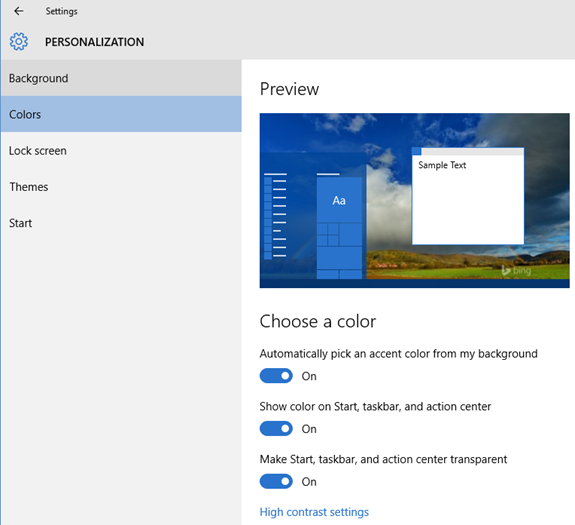 In the settings there are two main option areas for personalising the start screen. Click Start and Settings and Personalisation. Jethro has provided a magnificent web hosting service for me and handled all the technical aspects of this for me – without which I would be lost. Jethro was recommended to me after my hosting company closed down their business. As I had numerous sites and not knowing a lot about that end of things it has been a huge help. I can recommend them immensely as they have given me all the help I needed plus more.